Next up, our Global Spotlight Series takes us to Holland, a region that is geographically small but known worldwide for its rich heritage and culture. 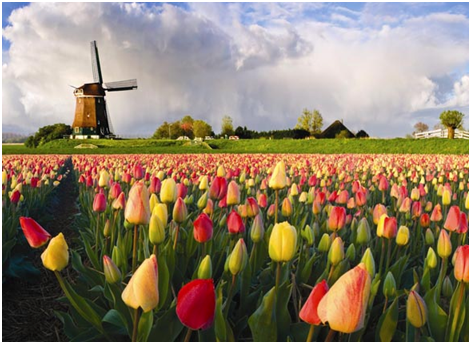 Holland is actually just a small part of the Netherlands, but its name has come to refer to the country as a whole. (Vocabulary lesson of the day: this is known as “synecdoche.) 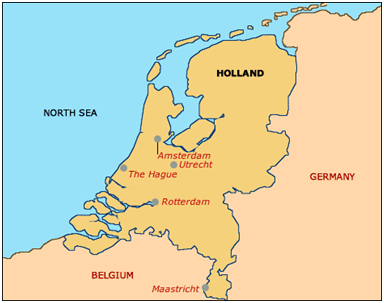 The Netherlands borders Germany to the east, Belgium to the south, and the North Sea to the north and west. It is here on the North Sea that fishermen catch the clams used for Crown Prince Clam Juice. It’s the only product we source from Holland, but it’s a special one. In that sense, it’s fitting that it comes from such a small, yet special place. What would you want to see if you visited the Netherlands: The Hague’s historic landmarks? St. John’s Cathedral? The Canals of Amsterdam? The contemporary art museums in Rotterdam? Call us biased, but we think a side trip to watch the clam harvest come ashore would be a great addition to your itinerary. More on that next time as our Global Spotlight Series: Holland Edition continues.